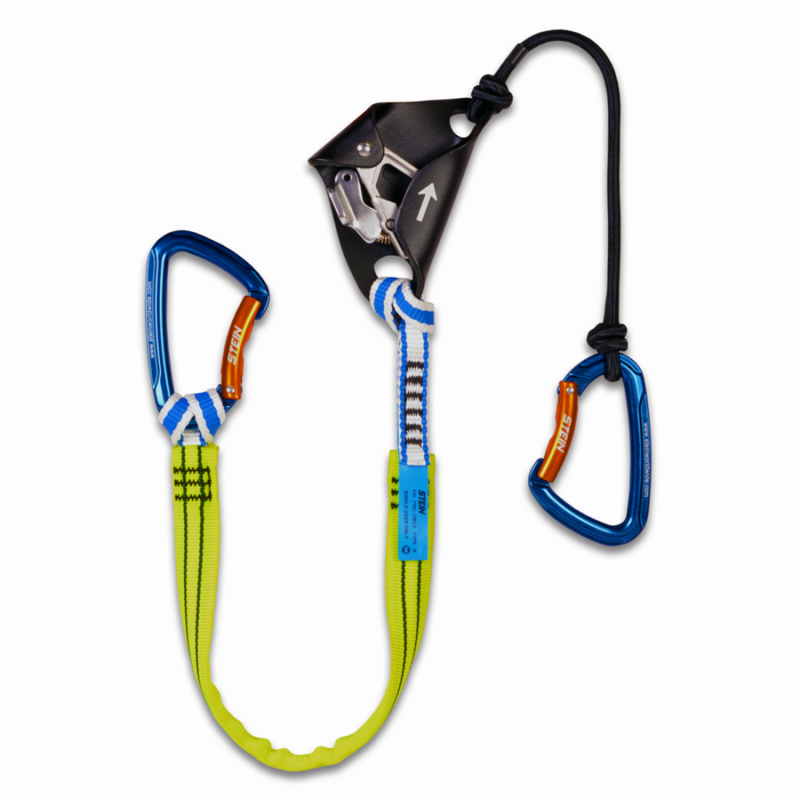 The STEIN Knee Ascent System is a simple but effective kit of components which helps assist you in ascending your climbing system easier and faster. Designed to work in conjunction with a foot ascender (STEIN DJANGO) It can be used in either double rope systems (DRT) or in single rope systems (SRT). The knee ascender captures the advancement made by your foot ascender. As every climber's technique and body size is slightly different It is not possible to cover every eventuality relating to the setup of this product therefore this is a self-assembly system. Purchasers and users of this product should seek professional training from a fully qualified and competent instructor prior to use. If you are not able, or not in a position to assume this responsibility, do not use this product. This product must be checked on a regular basis and prior to every use. In addition to this kit you will require a STEIN CAMBO Foot Loop.